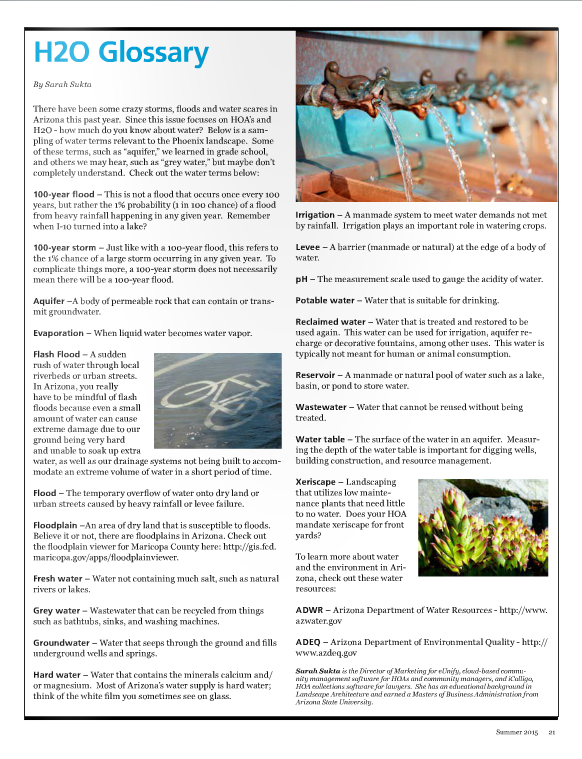 I thought I would take a little break from 'technology' and close out the month by sharing the H2O Glossary I wrote for the CAI Central Arizona Chapter Community Resource magazine: HOA's and H2O. Here it is! Click on the button below to download the entire Summer 2015 CAI Central Arizona Chapter Community Resource magazine: HOA's and H2O.